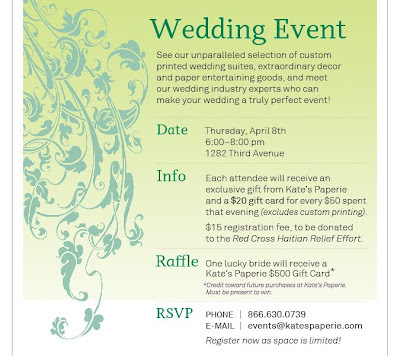 A fantastic little Bridal Event hosted by one of my personal favorite places, Kate's Paperie! Again, I think these kinds of events are truly valuable. If you are in the area, I really recommend attending! 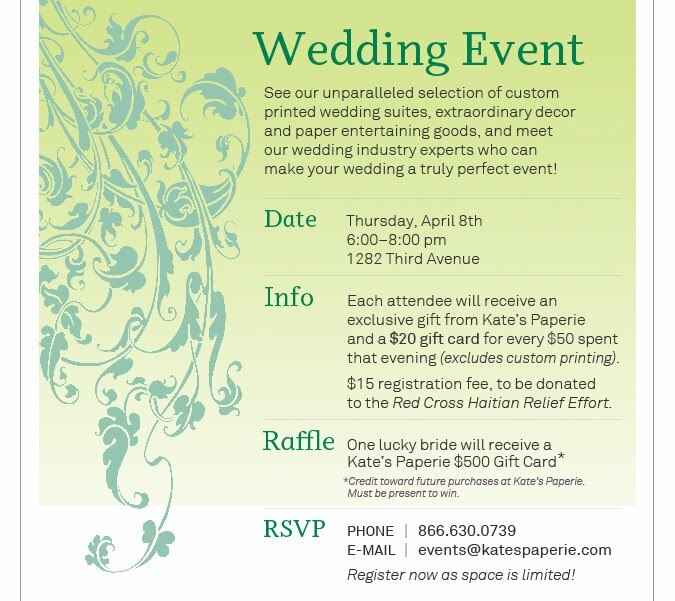 And, if for some crazy reason you are unable to attend, check out their adorable website. Umm...where have you been all my life, Joan Shum! As you may know, I am forever in pursuit of unique wedding attire. This woman is brilliant! Here is her website and below are my three favorite looks. A "Wonderland of Bridal Corsets and Skirts" indeed! This is the Gibson Rose top and skirt. B-e-a-utiful. Look at the back of that top. I'm in love with it. And that skirt...what a stunner. My favorite part however, is the deep plunge neckline with the lace detail. The dreamy blue color really gets me. Swoon! I am loving this sweet, playful, tea length. Appropriately called Bella Tea, this one of a kind dress is an absolute dream! I can just see this at a romantic garden wedding, with luminary walkways and hanging paper lanterns. I love! This, friends, is the White Dahlia Coat and Love in the Mist Skirt. Let me tell you something...if I had but known that this insanely gorgeous creation was out there, it would have been my wedding dress. This might be my favorite wedding dress in the history of ever. I looked for so long for a dress with sleeves and a collar that didn't look like I was wearing a potato sack. So much style...I die! So, go to this website. View the incredible dresses. Be enchanted. I'm threatening you with a good time. Well, lovelies, my house has been ground zero for the plague. First The Hubbs. Then me. I was down for the count for most of the week and weekend. Now I have a cold. Ugh. I am feeling a little better today and I hope to get back to it. Hello cupcakes! Whew, what a couple of weeks I've had. First the back pain. Then the Hubbs' illness. Then I caught said illness and was down for the count last week. Now, I seem to have a cold. I feel like I'm falling apart. There’s been quite a lot of chatter within the DIY community lately about intellectual property and copyright infringement. Questions have been asked, most notably the question of lines. What are these lines in the sand between “inspired by and stolen from”? When are these lines crossed? What can we, as a responsible community of artists and creators do about it? This subject is one to which I have given a lot of thought. As my business is undergoing an overhaul, a reinvention if you will, I wanted to take a little time to clearly articulate my views and my policies. A couple days ago, whilst on my daily blog rounds, I came across this post on Decor8. You can read the full post and comments here. While it is a topic without easy answers and its existence is outside the ease of black and white, the importance of it isn’t lost on us. 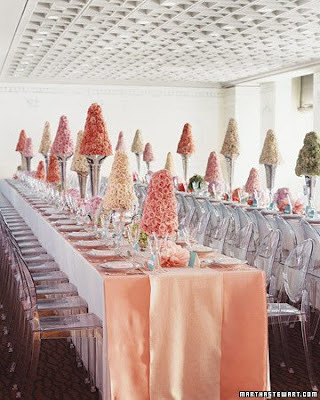 I have encountered many of these situations both as a wedding consultant and as an event designer. In most cases I have dealt with the issue swiftly and succinctly. In one instance in particular (a bride and her mother kept taking photographs of the invitation suites I was showing them. I heard them say they would just use the pictures and have a friend copy them…even after my repeated appeals for them to stop) I was less than composed. Ah, that temper of mine… . I believe in creation. I believe it is the thing that rousts me from by bed each day. . My life has been spent making art in one form or another. I have sung, danced, painted, photographed and acted out my triumphs, my sorrows, my insecurities, and my inadequacies. I have spent my life trying to make the world around me a little more beautiful. My heart swells when I am inspired by something and am able to ingest it, interpret it, expand on it and make it mine. My heart breaks when an idea is stolen, repackaged and re-sold as something it is not. I believe the Internet is an exceptional thing. It has allowed us to “meet” and share ideas. It has given us new ways to promote ourselves and the amazing work we do. It has allowed small businesses to become more visible, more viable and more vibrant. But it, like all of us, has a dark side. It has made theft so much easier- so much more accessible. Our identities, our bank accounts and now our recipes and designs have become vulnerable. The idea of “intellectual property” has so many gray areas. I believe it is my duty, as a responsible member of the online artistic community to site every source, credit every picture, reference every author and include every link. I know what I didn’t create. I know what isn’t mine. As I learn more about the blogosphere, I know I will miss some things and I know I will make mistakes, but I believe it will be my task to correct them, learn from them and move on. Now, to clarify... I would love to help you bring your vision to life. If you let me, I will do it in a way that no one else can. I will look at everything you bring to me, I will talk with you about your ideas. For me, the interaction between us will be the best part. Based on our discussion, I will create a unique experience for you. I will go through my quote with you, line by line and together we will make it fit your budget and your vision. I will never do the same event twice. Your event will be uniquely yours and uniquely mine. I will not recreate another artist’s work. Please do not bring me an existing design and ask me to reproduce it. I will not copy another designer’s designs, nor will I ask my fantastic designers and vendors to so. Copying doesn't allow us to show you what wonderful things we have in mind for you. Copying isn't honest and it isn't fair. I reserve the right to say no and politely direct you to the person who created the work you are actually interested in. I reserve the right to protect my integrity and the work of the talented artists and designers with whom I am so closely and so happily tied. Umm, hello! 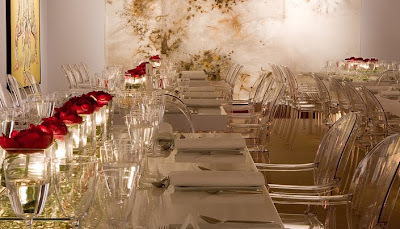 I am not usually one for a banquet table design but look how delicious this is! For me the simplicity of the tablescape is key. I am always saying, "levels, levels, levels!" It's like a broken record, I know. Buuuut, look how fantastic a basically simple design can become. I think my favorite aspect here is the light, airy feeling I'm getting looking at this. The peach with the pop of turquoise....heaven. 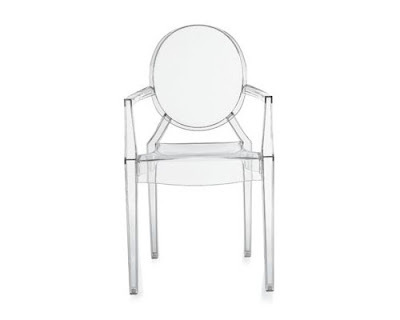 And again, hello gorgeous chairs. No covers, no ties, no fuss! Say whaaa?! Here again, clean lines, no clutter and a pop of bold color. I die! I think if I were to do something like this, I'd really want the table number to pop, but not over power the table. I've also really been into the idea of the " clear trays with glass beads" combo for quite some time. This is a perfect example of what I mean. Hello Hostesses! This is sort of what I'm always blathering on about. I am sorry I have been away so long. My life has been a whirlwind of late. The Hubbs and I are searching for a new couch and preparing the house for the second round of renovations. I have also been plagued by severe back pain. I suffered a treadmill-related incident and then fell asleep on our couch a few nights later, exacerbating the issue. Last week I could barely move, but this week with the help of a heating pad, Icy Hot and copious amounts of Aleeve, I seem to have the injury under control. Now I am digging myself out of a big, fat, pit of "catch-up." I do hope you'll join me.